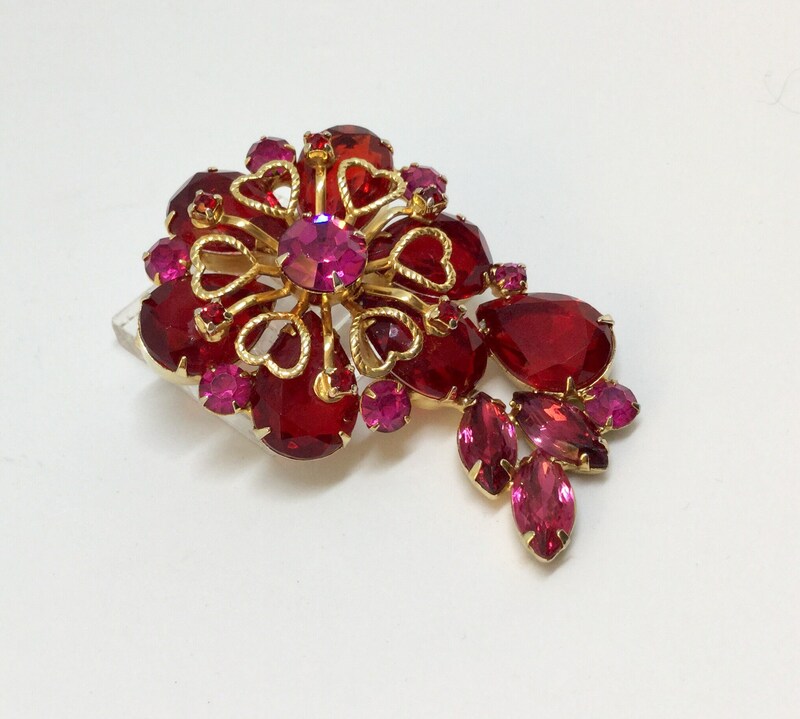 This is a vintage unsigned gold tone red rhinestone with goldtone hearts flower brooch. 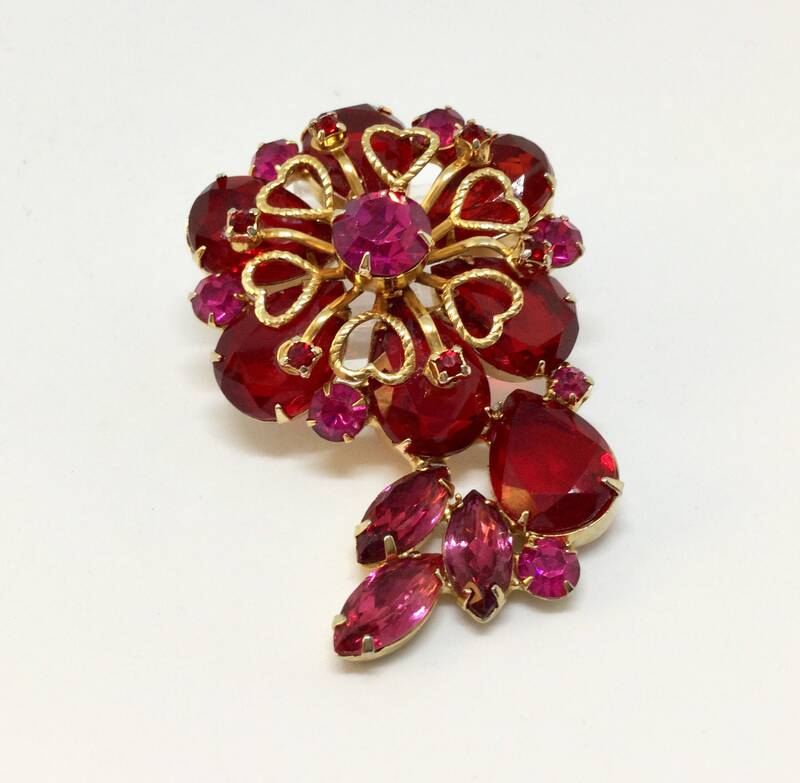 The flower has a large red rhinestone center with petals of very large rich red teardrop rhinestones alternating with smaller round lighter red accent stones. 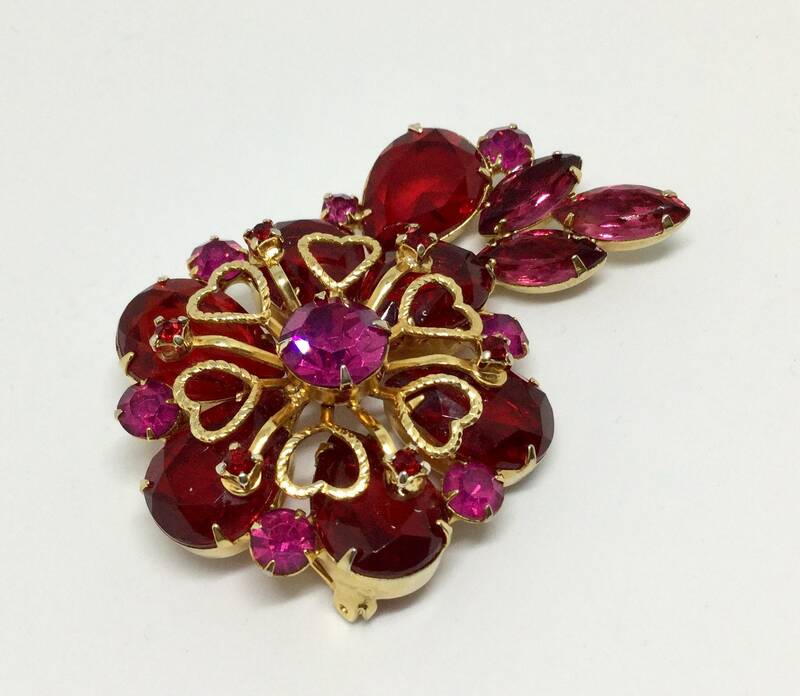 There is, as an overlay, six goldtone metal hearts coming out of center area. 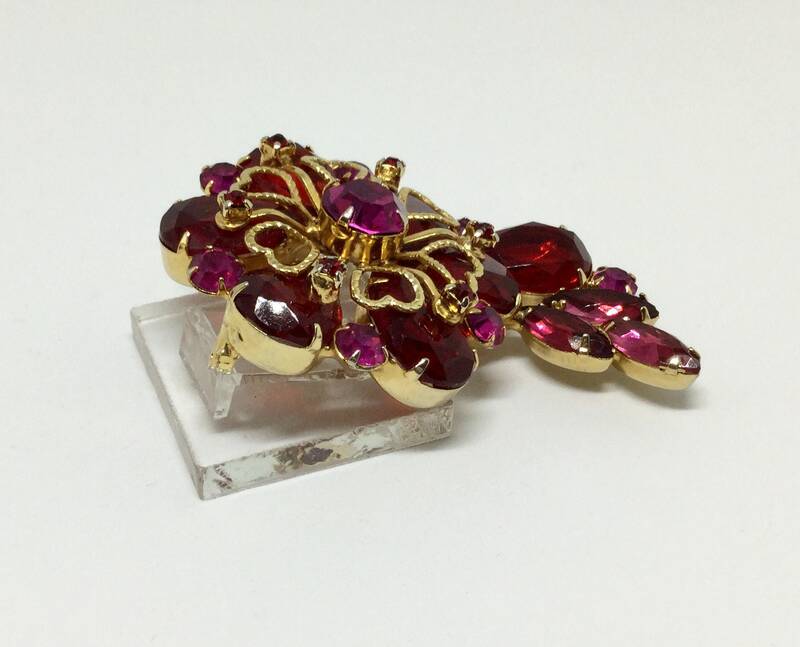 Toward one side is a grouping of a large teardrop and three navette rhinestones. 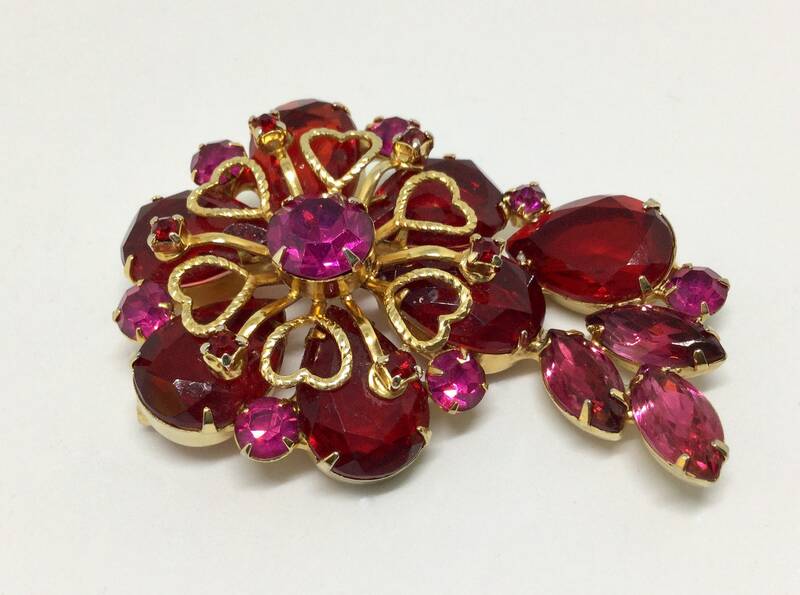 The large teardrop rhinestones are all open backs. 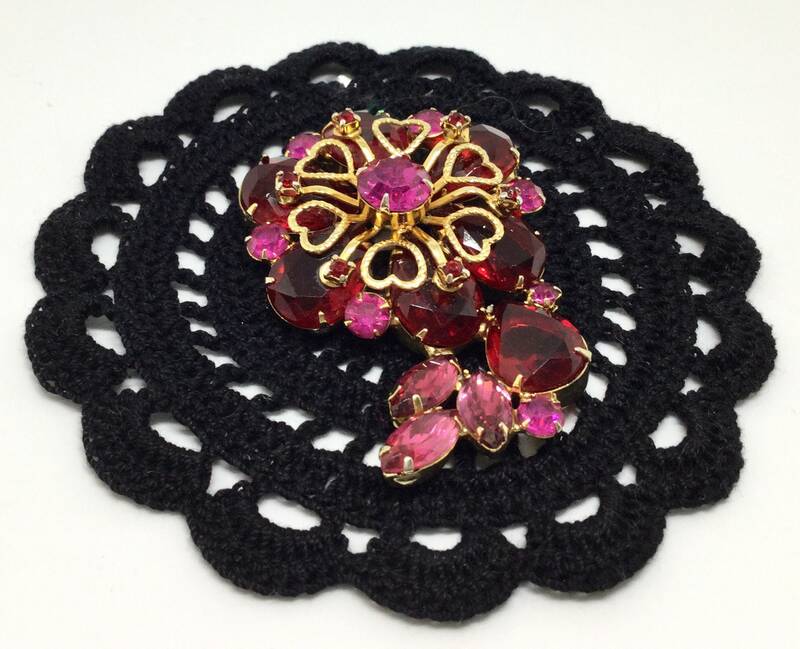 All of the rhinestones look original, are faceted, and prongset. 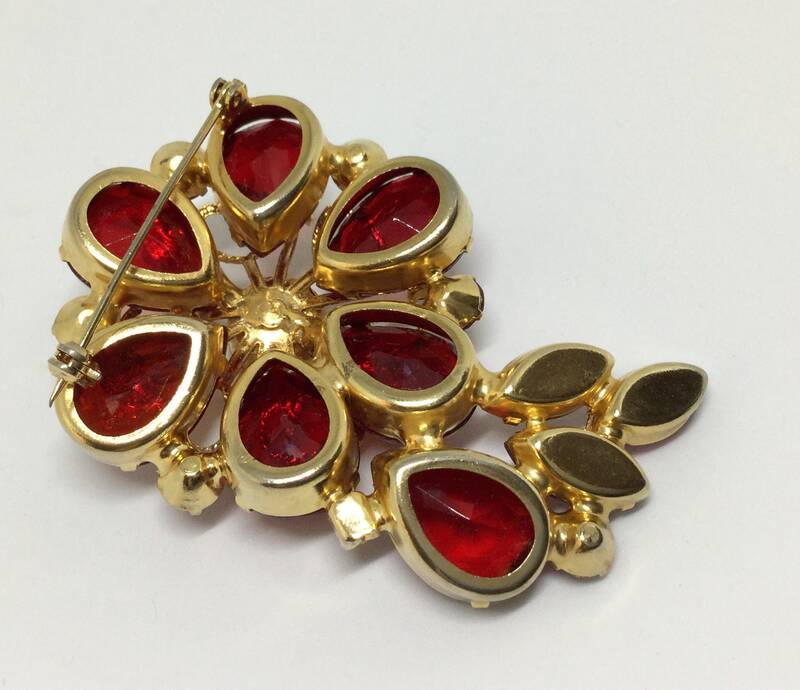 It measures 2 3/4” x 1 3/4” and the pinback is straight and works smoothly and securely. 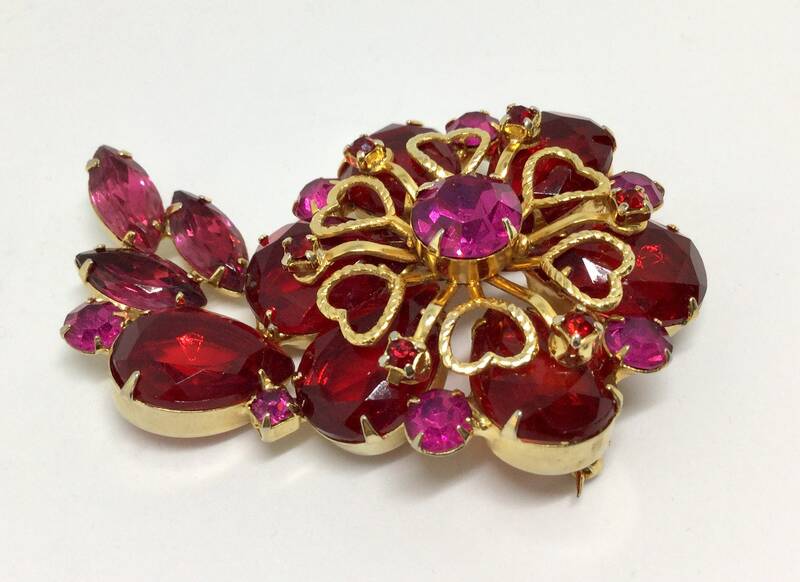 This is a fabulous brooch with rich red rhinestones and adorable goldtone hearts that would look great on a sweater, jacket, hat, or in a fabulous wedding bouquet!